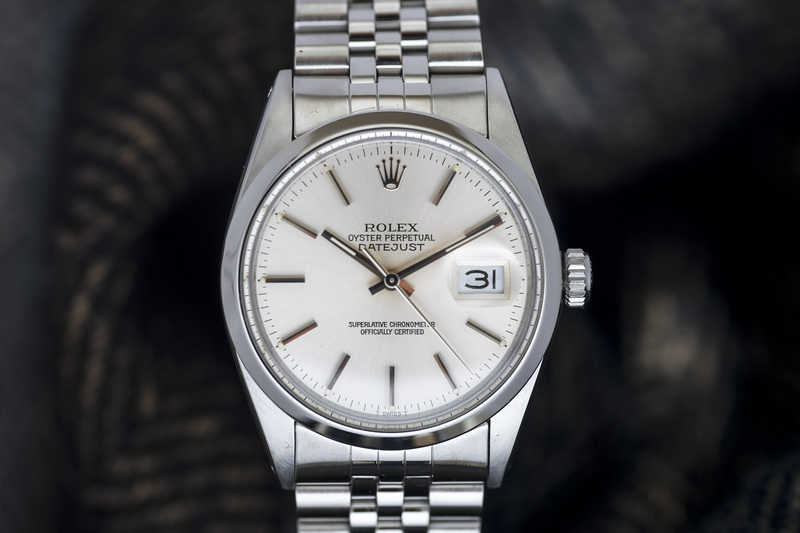 We are excited to offer you this reference 16000 Datejust from 1983 which is in a very well preserved condition! 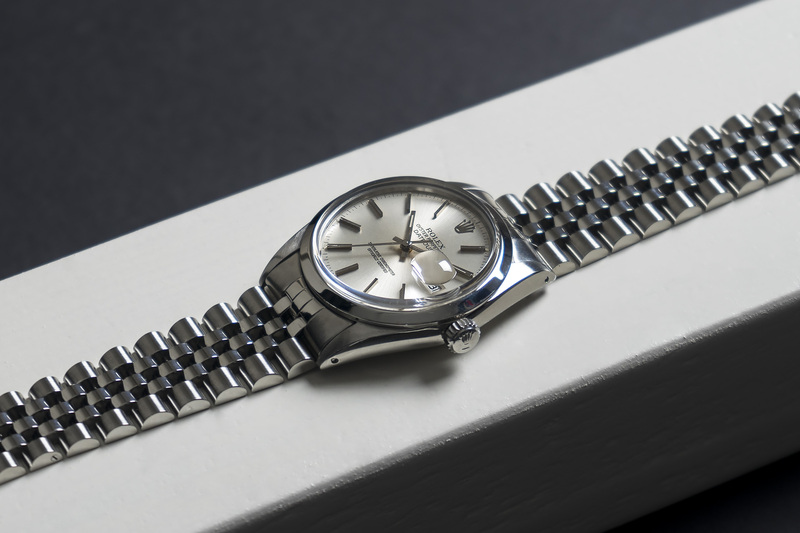 The case, bezel and bracelet are very strong and show sharp and clean lines, while the watch looks like it was delivered from the Rolex factory just yesterday. 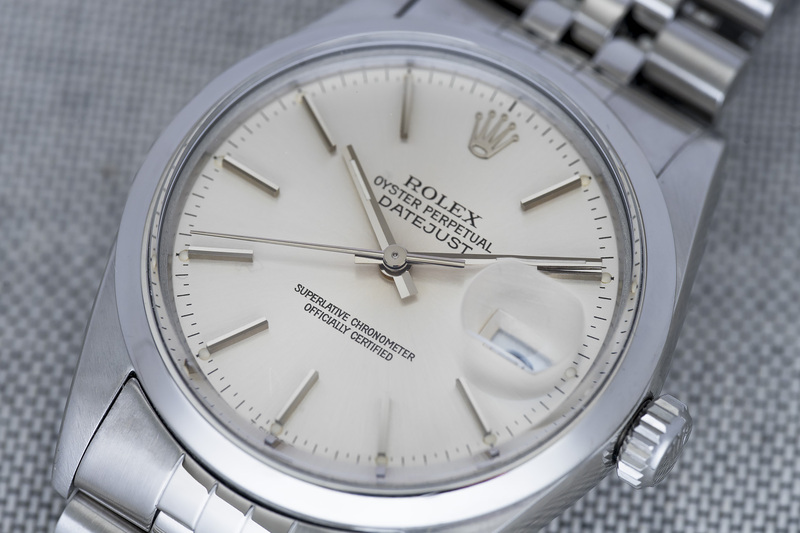 Compared to the other Datejust references out there, the 16000 with its characteristic smooth bezel is a watch you won’t see everyday. The emaculate dial on this vintage Datejust has a gorgeous silver to champagne tone with long and sleek white gold hour markers. All Tritium dots on the outside of the markers are present and show the same vanilla color as the Tritium inside the hands. 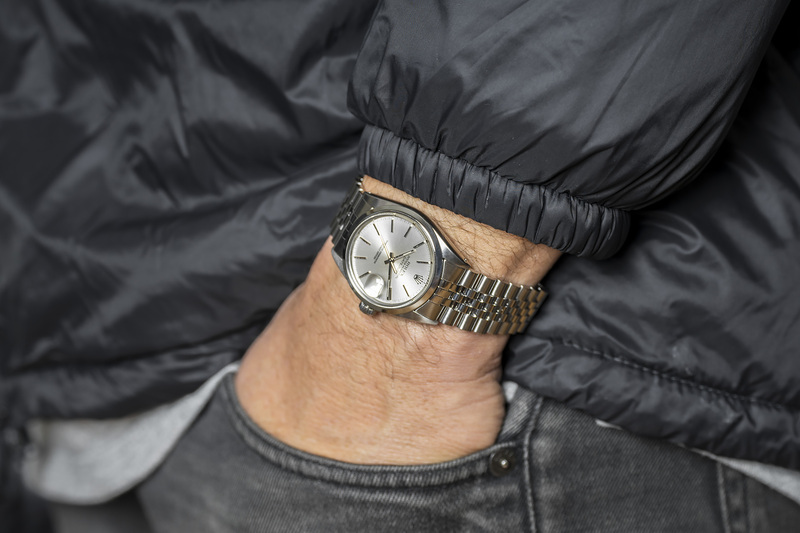 The color of the dial really depends on where the watch is worn, inside it has a more champagne vibe, while outside in the daylight the dial has more silver tones. 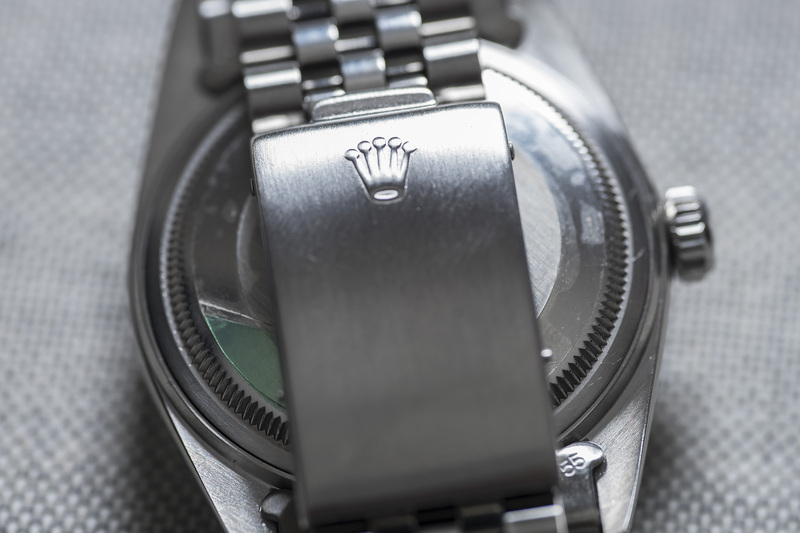 The case and bezel are sharp with clean lines and zero damages, while the caseback still has, what seems to be, an old Rolex sticker attached to it. 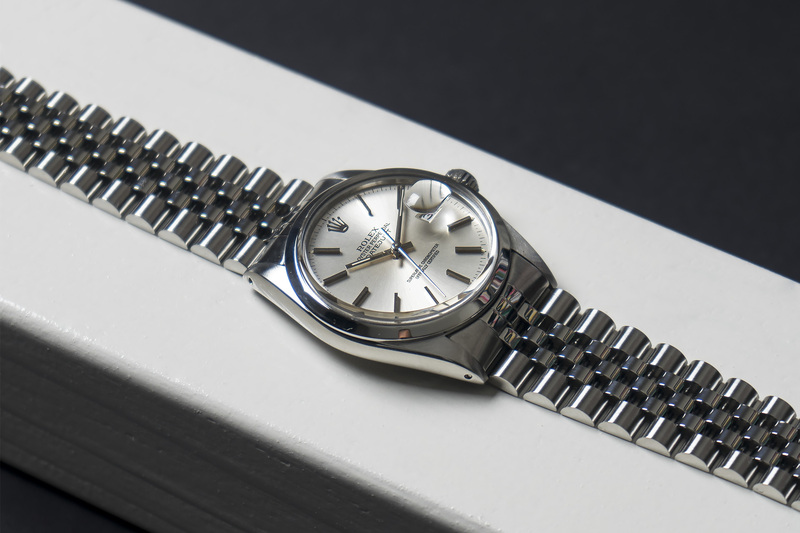 The 62510H Jubilee bracelet with 555 end-links is in a wonderful shape with little stretch.